Up until relatively recently Alaçati, and its beautiful bay with its long, shallow, flat entry, attracted only windsurfers and those interested in Alaçati's history - it was part of Greece until the 1920s, so there are some interesting stories in this town. But since the 90s it's been attracting an arty crowd and the smart set has followed - this is a good place to stop overnight if you're driving between Istanbul and the Turkish Mediterranean. Many of the best places to stay in Alacati are pitched at those clients, though it is still possible to find some more reasonable rooms in town. As well as being beside a gorgeous stretch of the Aegean - one of the world's best windsurfing destinations, and having a town so perfectly cobbled, whitewashed and bougainvillea laden it looks like a film set, Alaçati is also cool. It took a couple of years before Turkey's smarter, more stylish, set began to discover Alaçati's charms, but then the boutique hotels started popping up, restoring some of the town's most beautiful buildings, and making the town look even more appealing. But despite the hip crowds, Alaçati still has a friendly village feel. Alaçati is a couple of kilometres from the nearest beach - the windsurfing cove is about 2kms south of town - but there are a number of perfect sandy stretches within 20 minutes drive, so there's plenty of sand for all. And the dirt tracks you have to traverse to reach some of the most beautiful, dodging the odd goat, mean that you've got a reasonable chance of having plenty of sand to yourself. And you can't say that about Bodrum. Alaçati is also a great spot for a gulet trip. These traditional Turkish wooden yachts run day trips to Black Island and Donkey Island, which are just off the coast, and Wind Bay, a great local snorkelling spot. Practice your manoeuvres on a windsurf in some of the best conditions in the world. Take a gulet (traditional Turkish yacht) trip to Black Island and Donkey Island. Visit the antique shops and art galleries on Haci Memis Street. Stop and admire the scenic windmills dating back from the 1850s. But don't forget that if you wish to visit during the peak summer months, the best places to stay in Alacati will be incredibly busy. So do yourself a favour and book well ahead to avoid disappointment. Being popular with the smart set shouldn't mean it's not worth travelling to Alaçati if you're on a budget. This town is full of all sorts of travellers, and there are plenty of good value ways to enjoy yourself. Shop at the Saturday market, eat Turkish pizza - called pide, and if you want to pay less for your slap up seafood meal, travel to one of the smaller local villages. If you're on a budget, one of the best places to stay in Alaçati is IncirliEv. 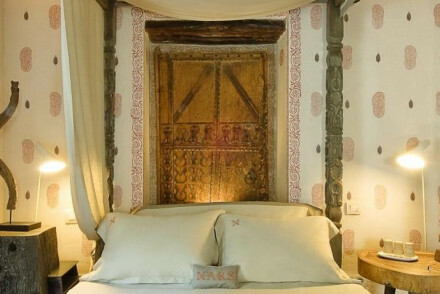 A boutique hotel converted from a gorgeous white stone building with plenty of charm and a lovely inner courtyard, this hotel has oodles of character and charming details - like four poster beds and parquet floors - but its rooms start from just €80 per night. 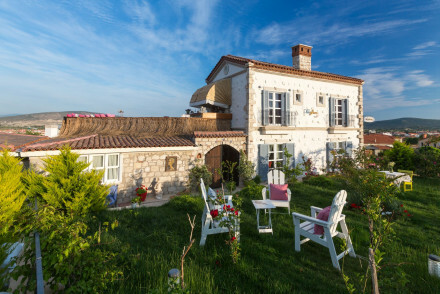 For the same price you can also stay in one of the seven rooms of Tas Otel, one of the best places to stay in Alaçati if you're looking for a rustic, country house kind of feel. Romantic and close to the beach, this beautiful hotel is so reasonably priced because it doesn't have a restaurant. Though it does do breakfast and a complimentary afternoon tea. Chidgem Hotel is a great option just a stone's throw from the town centre. Here you'll find individually decorated bedrooms and bathrooms, plus a wonderful courtyard and pool area. The welcome is warm at this family owned and run establishment and a sumptuous breakfast is included in the price. You can't go wrong with the Beyevi Hotel. 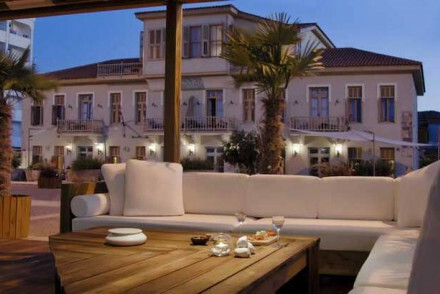 A beautiful white house converted into a seven room hotel, whose whitewashed, chic interiors are decorated with original art, there's an excellent restaurant, the location, at the peaceful end of Alaçati's main street, is perfect and you're right near the beach and the town's historic highlights. If you're looking for total luxury, try Nars Ilica. In this converted 18th Century seaside mansion you're afforded the staples, and private balconies, organic breakfasts, fantastic views over the Aegean and a private beach. Viento Hotel is a traditional Turkish hotel just a few miles from a number of exquisite beaches. 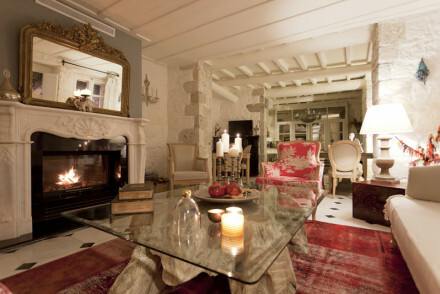 Rooms are very tastefully designed with lovely linen, all within a simple yet elegant house. Many of the artists, potters, restaurateurs, bakers and hotel owners are the people who came here as children - this is the kind of place that people leave but return to, and there's a lot of romance to that. In the 1920s when the entire Greek population was moved to the islands, the Greek buildings were left, so there's a certain unique look to the town's architecture. 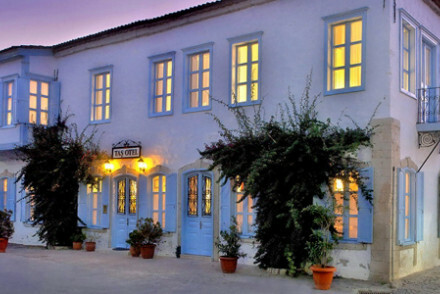 Nars Alaçati is another fine example of this Greek stone architecture, a charming house with just seven romantic rooms arranged around a gorgeous breakfast courtyard. It's also perfect if you want to be in the centre of things, amongst the bars and restaurants. La Capria is at the more opulent end of the boutique hotel scale, so it's probably one of the best places to stay in Alaçati for honeymooners or couples looking for a romantic spot. Colourful and opulent, La Capria also has hot tubs, charming balconies, beautiful gardens and terraces, and a nicely landscaped pool - and its own yacht. If you prefer natural fibres and gentle colours, Alavya is probably more your style - just as luxurious, but less showy, this hotel is a collection of chic rooms and suites spread across six houses. Backed by pretty orchards, Alavya has a natural, rustic feel to it - think exposed stone walls, giant old bathtubs and lots of nature light. Izmir’s Adnan Menderes Airport is the closest airport to Alaçati. It is served by regular scheduled flights from across Europe and is located 70km from the town. The best time to visit is from the end of April through May or from September through October, when temperatures are still high (reaching over 20C), and prices are at their best value. During the peak summer months, it is very busy and the temperatures soar! Browse through our list of all the best places to stay in Alaçati. Alternatively check out all our picks on the Turkish Aegean coast. A three minute walk from Alaçatı centre, this hotel is proudly run and offers colourful ensuite rooms set around a courtyard and pool. Extra touches include fresh flowers in rooms and free breakfast. 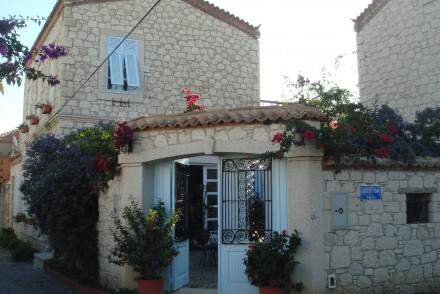 Fishing, windsurfing and market shopping available nearby. A traditional Turkish hotel just a few miles from a number of exquisite beaches. 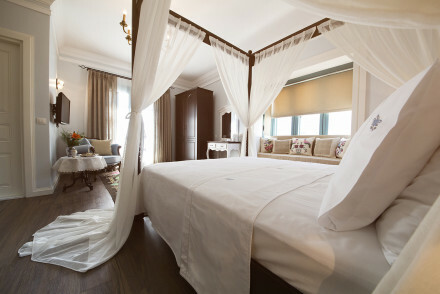 Rooms are very tastefully designed with lovely linen, all within a simple yet elegant house. 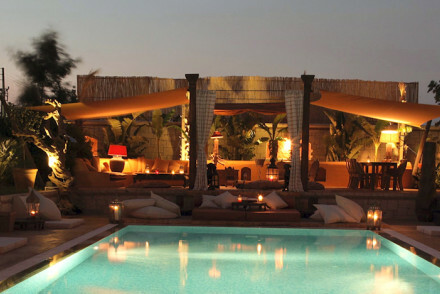 The hotel has a garden with pool, cafe with al fresco dining and private beach space. Perfect for exploring the local area.